Today we have added a new exclusive service to Unlock Samsung locked by Cricket USA. Our supplier will deliver unlock code for any Samsung from this Network in less than 4 business days. This service support any Samsung from Cricket USA including but not limited to: Samsung Galaxy Grand Prime, Galaxy S4, Galaxy S5, and the latest Galaxy S6. 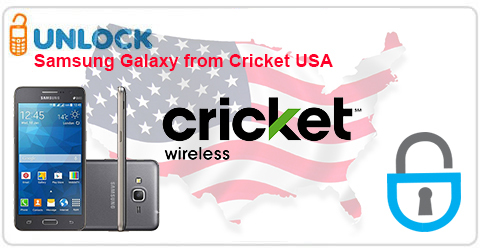 Unlock Samsung from Cricket USA by Code today with UnlockBase, all we need is the IMEI of your Samsung Galaxy !